A Redundant Array of Independent Disks (RAID) is a special type of volume providing you with redundancy on your drives or volumes. RAID is designed to provide you with protection from failures of the drives on your sever. RAID does not replace the need to perform regular backups of your systems; it offers an additional level of protection to your system and is designed to work in conjunction with regular backups. In most cases, RAID will tolerate a loss of one hard drive, meaning you will not lose any data; however, the performance of the RAID volume is reduced until you replace the failed drive. RAID is designed to not only help protect your data but also to help improve the performance of the overall drive system. RAID can be implemented either via hardware or software. You will now see how Windows Server 2008 R2 implements RAID at the software level. Essentially, RAID volumes (commonly called arrays) create duplicates of the data and spread the data over the drives in the volume. 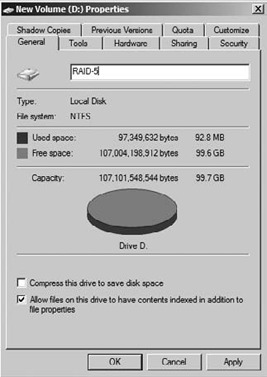 In the case of a RAID mirror, the data is completely duplicated in a one-to-one fashion across two drives. However, in other versions of RAID, a concept called a parity bit is introduced. One of the keys to understanding how RAID works is knowing how the parity bit works. The parity bit is the copy of the data; however, the parity is spread evenly across the drives. When you begin to work with RAID, it is important to know what the implications are for the chosen level of RAID for your server. Windows Server 2008 R2 supports only RAID 0, RAID 1, and RAID 5 at the software level. Several of the more common RAID levels are listed in Table 1. RAID 0 RAID 0 is commonly known as striping. This is the only level of RAID that does not provide you any protection from a failed volume. That means if you lose one drive, you will lose all of the data across your volumes. Striping is designed to provide improved drive performance. RAID 1 RAID 1 is commonly known as mirroring. RAID 1 uses only two drives, and as you write to one drive, a duplicate copy is written to the second drive at the same time. If you lose one drive in the mirror, the second drive contains the backup, and you will not lose any data unless you lose the second drive. This is also the slowest version of RAID. RAID 5 RAID 5, commonly known as striping with parity, is a combination of performance and redundancy. RAID 5 requires three (or more) drives or volumes and provides protection if one of the drives fails. RAID 5 spreads the data and the parity (copy of the data) evenly across all three drives. If a RAID 5 volume loses a drive, the overall performance of the drive will be reduced until you replace the drive. Additionally, RAID 5 may cause a performance impact for your memory and I/O. This will occur with all writes, since the parity bit must be calculated and then written. RAID 6 RAID 6 is commonly known as striping with dual parity. It is nearly identical to RAID 5, but it creates an additional copy of the parity information. This provides you with the additional ability to lose up to two drives without losing your data. RAID 10 RAID 10, sometimes referred to as RAID 1+0, is a combination of striping and mirroring. RAID 10 is essentially a striped mirror, which offers a nice hardware-level version of RAID with performance and mirroring. Say, for example, you create a RAID 5 volume with three hard drives of 100GB each. Your total available hard drive space for the volume would be 200GB. The reduced space is because of the parity bit, which is the copy of the data. When your data is written to this volume, it will be spread evenly across the drives, and during the write, a parity bit will be written to help maintain the copy of the data in case a drive is lost. Figure 1 shows an example of a RAID 5 volume. Additionally, if you look at Figure 2, you will see the drive and how it appears in My Computer. It is important to note the drive is only about 100GB even though three 50GB drives were used to create the volume. The number of drives or volumes you have available to you will determine what level of RAID you can implement. In this section, you will see how to create a RAID 5 volume with three drives in the Windows Server 2008 R2 software. If you want to use a hardware solution to create RAID 5, please consult the manufacturer of your system. Creating a mirrored volume is similar to creating spanned and striped volumes. Additionally, like with striped volumes, the partitions on the mirrored disks will be the same size. Figure 3 shows an example of a mirrored volume. Open Server Manager by selecting Start => Administrative Tools => Server Manager. In the Server Manager tree, click Storage. In Storage, click Disk Management. Right-click the unallocated space in the bottom window of the middle pane you want to create the volume on. 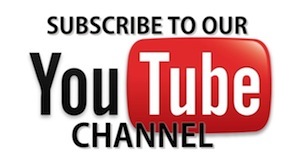 On the Welcome screen, review the message, and click Next. 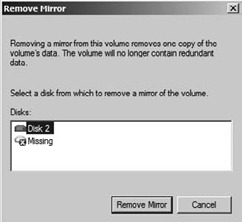 On the Select Disks screen, select the disks you want to use for the mirrored volume, and click Add to place them in the selected option. Select the size you want to make the volume, and click Next. Select how you want mount the volume. You can choose to mount to a drive letter, to mount a folder on an existing drive, or to not assign any mount point. After you make your selection, click Next. Next, you can select how to format the drive. After you make your selection, click Next. Review the summary screen, and click Finish. You will see a warning dialog box if the drives need to be converted to dynamic drives for mirrored volumes. After you review the warning, click Yes. If you lose a hard drive in a mirror, the mirror has failed redundancy. You will need to replace the failed drive, remove the existing mirror, and then re-create the mirror. Right-click the half of the mirror in the bottom window of the middle pane that is still working. Select Remove Mirror; you will a screen similar to Figure 4. Select the drive that has failed on your server to remove the mirror from. When you remove the mirror for the drive, this will remove the mirror. Then you are ready to re-create the mirror. To re-create the mirror, right-click and select Add Mirror. In the Add Mirror dialog box, select the new volume you want to create the mirror on. You will see the drive status of synching, and when the drive has completed the sync, you will see a status of Healthy. You may choose to stop using an existing mirror. Maybe you want to choose a different RAID level or need to repurpose one of your disks for additional storage. You can at any time break your mirror. You do not need to worry about seven years' bad luck. Also, unlike when a real mirror breaks, you will not lose any data. In fact, you will have two copies of the data on two separate volumes. Right-click one of the volumes in the bottom window of the middle pane in the mirror. Review the warning about removing the fault tolerance from the drive. Remember, you will not lose data, just the redundancy of the mirror. Click Yes to break the mirror. On the Select Disks screen, select the disks you want to use for the RAID 5 volume, and click Add to place them in the selected option. Remember, you need at least three drives. Select the amount of space to allocate on each disk selected, and click Next. You will see a warning dialog box if the drives need to be converted to dynamic drives for striped volumes. After you review the warning, click Yes. If you lose a hard drive in a RAID 5 volume, you will need to repair the volume. When you are working with Disk Management and see a screen similar to Figure 5, with the words failed redundancy, one of your hard drives may have failed. To fix the RAID 5 volume, you need to replace the failed drive and then use Disk Management to repair the volume and reestablish redundancy. Right-click one of the volumes, in the bottom window of the middle pane, in the existing RAID 5 set. 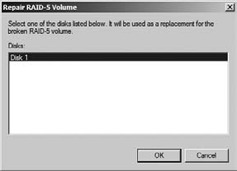 You will see a screen similar to Figure 6, asking you which volume you want to use to repair the RAID 5 volume. Select the new hard drive, and click OK. Your drives will begin the process of resynching. This process could take several minutes. During the resync process, you will see a screen similar to Figure 7.